With the overwhelming number of new Hosta varieties introduced every year, it is a daunting task for nurseries and gardeners alike to decide what varieties to grow. 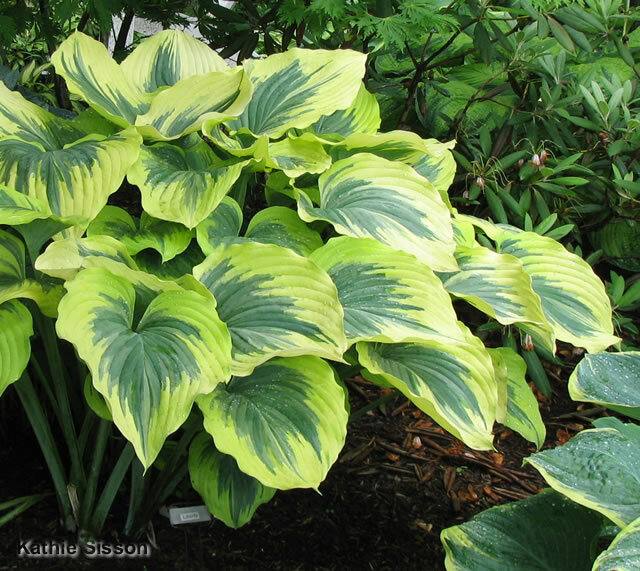 The American Hosta Growers Association tries to make this decision easier and has chosen a Hosta of the Year every year since 1996. 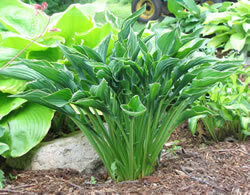 Part of the AHGA's goal is to recognize Hosta varieties that are all around great plants. The hosta chosen as Hosta of the Year is a variety that makes a good garden plant in all regions of the country, is widely available, and retails for about $15 the year it is selected. 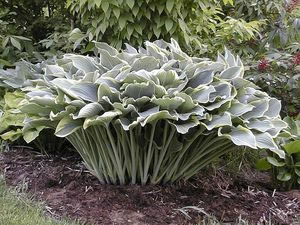 The Hosta of the Year plants are aimed more toward the general gardener rather than Hosta collectors. 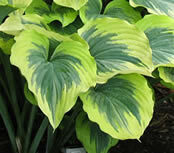 In fact, many collectors have grown Hosta of the Year selections for years before they are designated Hosta of the Year. 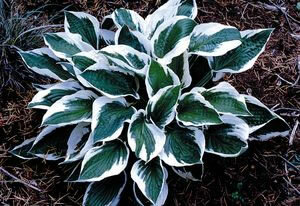 Plants awarded Hosta of the Year are not the latest and greatest Hosta introductions. 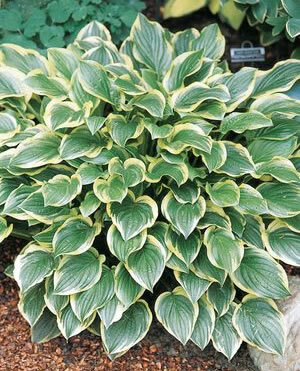 One of the major factors when selecting HOTY is that it must preform well in all areas of the United States where Hostas will grow. For this to be known, Hosta of the Year will always be a variety that has been around long enough to have been grown in a wide variety of gardens and climates. Only after a Hosta has proven itself in the gardens of collectors across the country will it be considered as a potential Hosta of the Year. Hosta of the Year is selected two to three years ahead of time to ensure growers and nurseries have sufficient time to build up stock. These are the upcoming Hosta of the Year. American Hosta Growers Association Hosta of the Year - Current and past Hosta of the Year from the American Hosta Growers Association. Hosta of the Year - named by the American Hosta Growers' Association - Hosta of the Year photos from the American Hosta Society. Hosta of the Year 2004 - 'Sum and Substance' - Hosta 'Sum and Substance' information and pictures from the Wisconsin Master Gardeners. 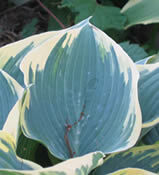 Hosta 'Sum and Substance' - 'Sum and Substance' is one of the Elisabeth Carey Miller Botanical Garden's Great Plant Picks. Hosta of the Year 2005 - 'Striptease' - Hosta 'Striptease' information and pictures from the Wisconsin Master Gardeners. 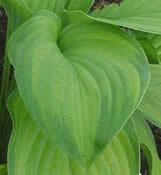 Hosta 'June' - 'June' is one of the Elisabeth Carey Miller Botanical Garden's Great Plant Picks.